Linking up with Style Sessions, Mix It Monday, #HowISpring, Friday Fab Favorites, Weekly Linkup, Spotlight Weekly Linkup, Style Me Weekly, Oh Hey Girl, Style Me Wednesday. Love the twist on this dress! I definitely do not own enough little black dresses! You look gorg! Totally love the pop of color you added with the clutch too! 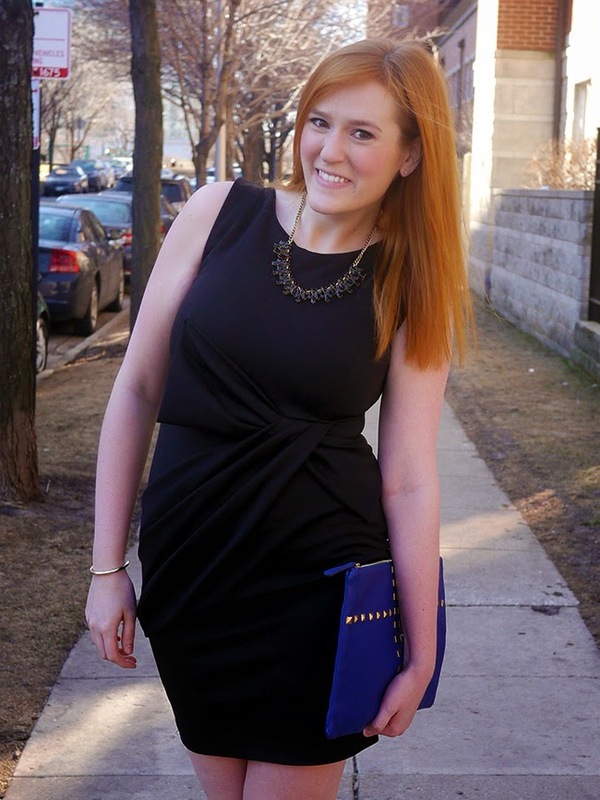 This is the perfect LBD! It's gorgeous on you and I love it with the clutch! Well, I can't believe you didn't have an LBD until now, but this one looks great!! Also, loving the backstory. I know we're all crazy when it comes to freezing outside for the sake of our blogs. Cute shoes! Found you blog through "For The Love of Leopard". I host a link up every Wednesday (still live!) so stop by if you get a chance. I have one LBD but I think I need more! This dress looks great on you! Gorgeous fit on you, and the clutch is the perfect pop of color.